Having worked as a wine writer in both Germany and USA, Caro Maurer MW, DipWSET, has a unique first-hand perspective of both the Old and New wine worlds. As a nominee for the WSET Outstanding Alumni Award 2018, she tells us the differences between the two markets and how her WSET education opened doors to new experiences. Having written about food and wine for many years beforehand, why did you decide to formalise your wine knowledge with WSET qualifications? Food is less difficult to write about. I know about the best ingredients and I can cook, so I can judge this more or less by gut feeling. But to understand wine, you need to know so much more about its path from vine to glass, which was not necessarily part of my previous life experience. How did you find your WSET education aided your writing and career overall? I remember very well the first time I mentioned the WSET title – it was at the Seresin winery in Marlborough. It turned out be a very effective door opener. They even allowed me to stick my hands in all their biodynamic preps - an intimate experience I will never forget. However, the most important role the WSET Diploma played was that it was my licence to enter the Master of Wine programme. It provided me with the basic knowledge to keep up with the best of the wine world. Having worked in both USA and Germany, what differences did you note in the wine worlds of each region? Do you think they have become more in sync over time? No, the prerequisites are too different. Generally speaking, wine is big business in USA and money rules. German wineries, on the other hand, are family driven with a lot of heart and courage. Yet isn’t this diversity wonderful? This only happens with wine, not with any other food product. As a consultant for Edeka, Germany’s biggest supermarket chain, what key things do you consider when crafting a range to please its wide customer base? The wine buying team and I look for wines which offer the best value at a fair price. We always have to bear in mind that people go into a supermarket, buy a bottle of wine and want to drink it the same evening. These wines should be made for immediate consumption, not to be left in the cellar for their heirs to drink. WSET is not only about studying wine, it is also about understanding wine and fostering respect for different wine cultures. As a writer for national and regional titles, how do you try to educate consumers about wine through your writing beyond specific bottle recommendations? I consider myself very lucky. Lucky because I can write about one of the most wonderful and sophisticated things in life - wine. I hope I succeed in communicating my love for wines from all over the world. Visiting and learning about the world’s wine regions has helped me develop great respect for the diversity of wine culture and it is my heartfelt wish to reflect this in my writing. 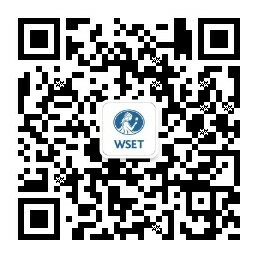 How relevant do you believe WSET qualifications are for wine and spirits professionals in Germany today? Germans are like everyone else who lives in the classic wine-producing regions of the Old World - they enjoy their own wines the most. By progressing through the WSET qualifications, candidates gain a worldwide perspective. WSET is not only about studying wine, it is also about understanding wine and fostering respect for different wine cultures. Consequently, it is about developing a more open-minded attitude.